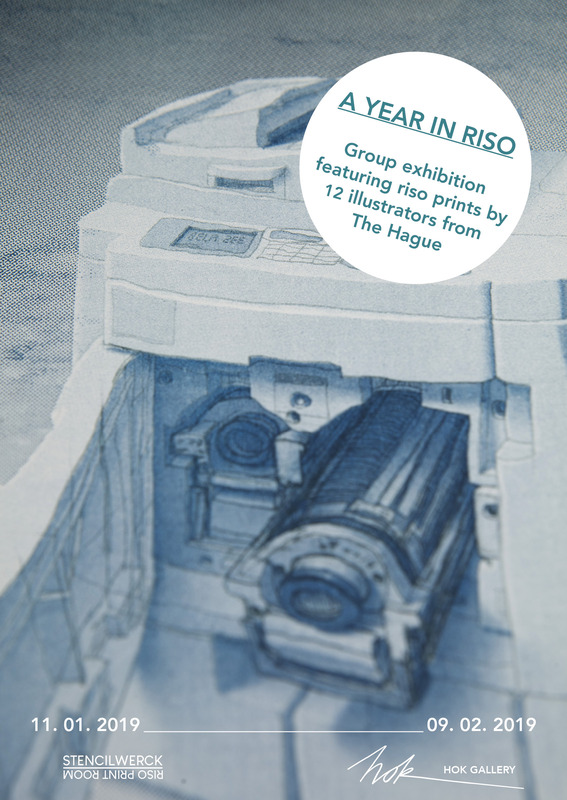 A YEAR IN RISO is a pop-up exhibition initiated by STENCILWERCK at HOK Gallery. and interlinking figurines. Equally lecherous are SOGO&#39;s animals in the month of May. is featured in Rik Buter&#39;s March contribution. Twelve The Hague based illustrators in HOK Gallery. Vernissage: Friday 11 January 2019, 18:00-22:00.
will be ‘Hague’ beer and Haagsche Hopjes. Stencilwerck, in collaboration with some of the artists.